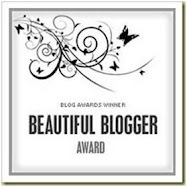 Hey there bloggies! How was your weekend? I hope it was splendid! Our was filled with dinners parties with friends. I also did my 9 mile run in preparation for the Long Beach Half Marathon. Luckily, I ran with my friend, Sarah, on Saturday morning and it wasn’t bad at all. Especially considering I haven’t ran that distance in at least 5 years. Thanks Sarah – I couldn’t have done it without you! Is it just me, or does it seem like Mondays are always extra busy? Or is it that it is still instilled in my head from so many years of school and full time employment, to dread Mondays? Either way, I always feel busy and a bit rushed to get the “do do” list done. I didn’t get to photograph one of the dinners this weekend, because I didn’t know the people hosting the dinner party until we got there and didn’t want to whip out my camera. So, here’s a little bit of what else went down this weekend. 1. The Vikings beat the Lions!! 6. Grilled tofu over grits, baby bok choy and shitake mushrooms. What was the best thing you ate or drank this weekend? I agree with you! Out of all the tasks... keeping a busy toddler out of trouble is the hardest and most time consuming. Manic MOnday indeed. At least you had some gorgeous and tasty food this past weekend. Congrats a great run too!! Best food was by far a foie gras meatball and fresh pasta dish! SO delicious!